Tinie Tempah's new album 'Youth' will be released on September 16. The 'Pass Out' hitmaker - whose last LP, 'Demonstration', was released in 2013 - is gearing up to drop his first record in three years, which includes collaborations with Jess Glynne on 'Not Letting Go', Katy B on 'Turn The Music Louder', 'Girls Like' featuring Zara Larsson and 'Mamacita' with Wizkid. The 27-year-old rapper has spent the last year writing and recording the album and went for the DIY approach making it in his home studio. Talking about the different sounds inspired from the music he heard growing up in London, which feature on the record, he explained: "I wanted to give a nod to all of the genres of music I heard growing up that made me want to be a rapper. "The good thing about being from London is that you hear so many different styles of music, and are exposed to so many different things. "I wanted to make an album that felt nostalgic with elements of those big British sounds from different genres, whether that was garage, grime, hip-hop or R&B." Tinie also hopes his album will empower young people and inspire them to do what they what to achieve in life, just as he has. He added: "It's also about empowering young people to think outside the box. I was just a young boy out of South London who loved music and wanted to see the world and contribute to something that I love and have a passion for. "I honestly feel that there is no limit to where you can get in life. I really believe that. Youth is the time where you dream without any limitations or fear. And I wanted to share my story with the world through my music." 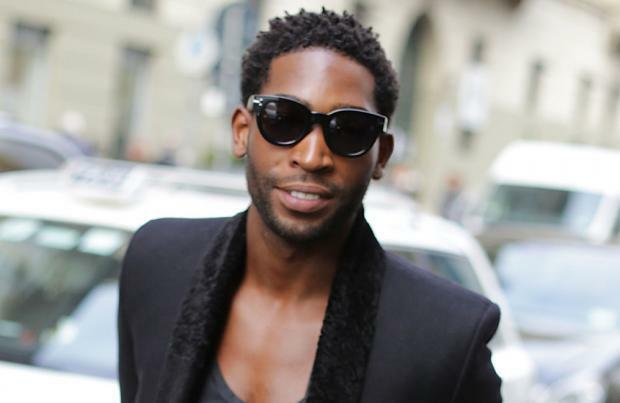 A full track-list is yet to be unveiled, but the record will showcase Tinie's collaborations with up and coming artists from London including TroyBoi, Shift K3Y and Jakwob.